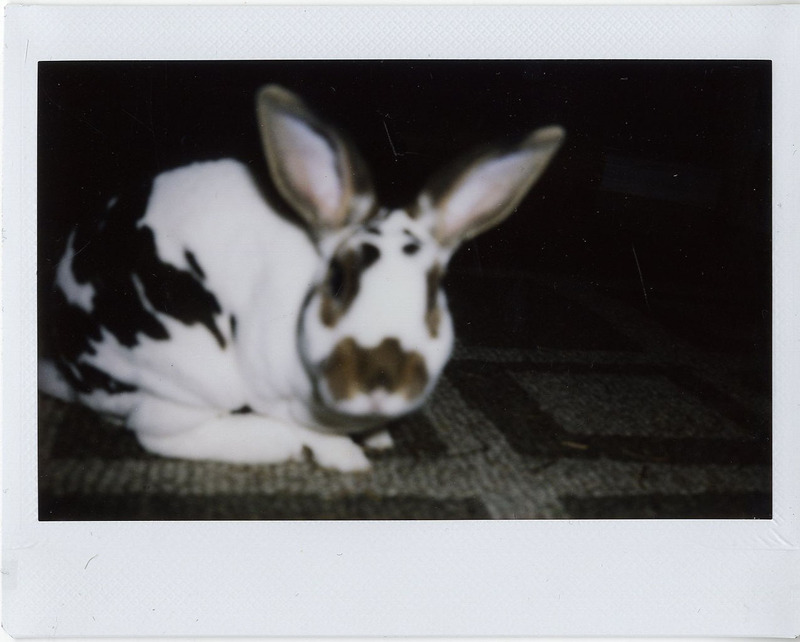 So I previously posted about getting a Fuji Instant Camera. I ordered my Instax200 awhile ago but it came with no film. I was not expecting much film, I clearly understood I would need to buy more, but since digital cameras come with 32mb memory cards I was really really disappointed that I could not try it out right away. I called all around Boston, Watertown, Somerville, Cambridge, etc and no one carried film for it! Damn 🙁 Well I finally got around to ordering film and it arrived in time to take it to a Yelp Elite Event last night. It was really easy to use and produces great pictures plus I loved getting to show it off. It’s a monster of a camera so you can’t really hide it from people so if you get one have fun but be ready for some looks. Plus here is a picture of Jack… love the ears! 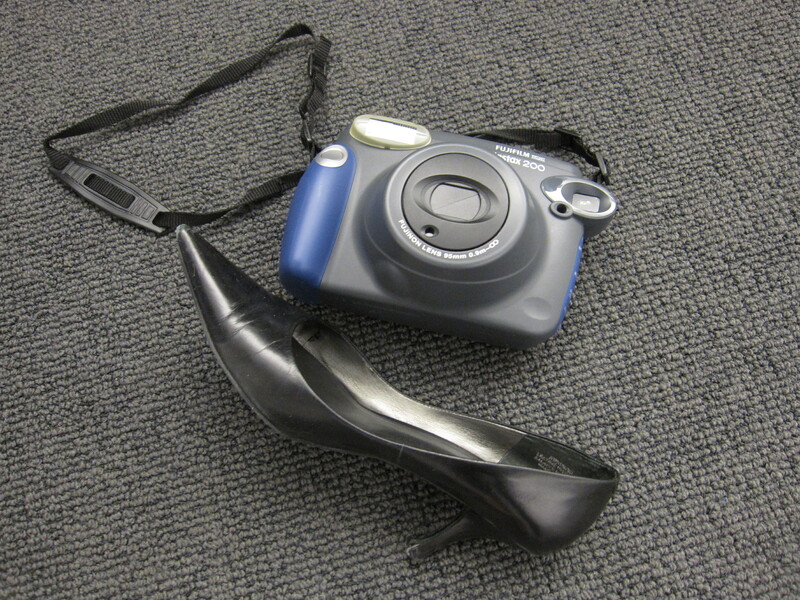 The Fuji Instax 200 is big… this is it compared to my beat up high heels. They are a size 7.5. 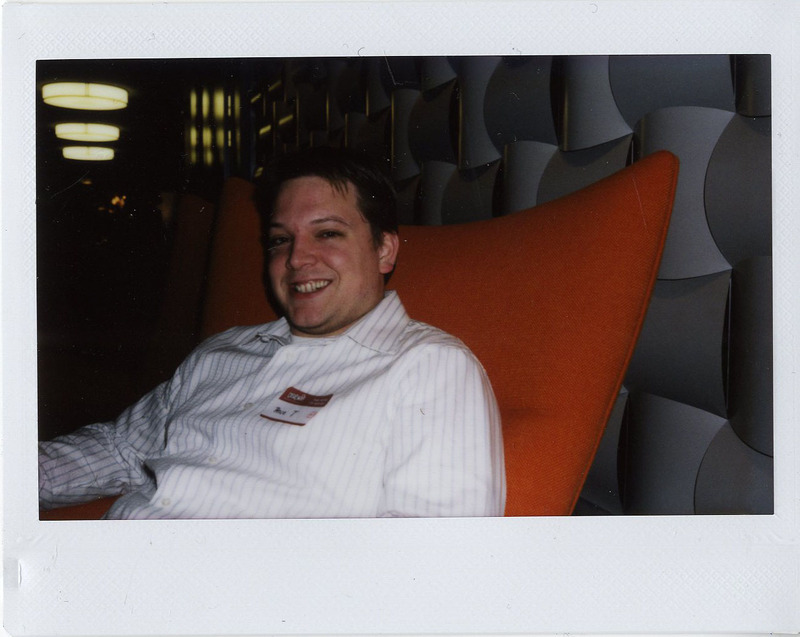 You could get the smaller Instax… but your photo is A LOT smaller, clearly. Hi, i really enjoyed Emily’s Dad’s shorts. Does he know that his daughter has posted this picture ? 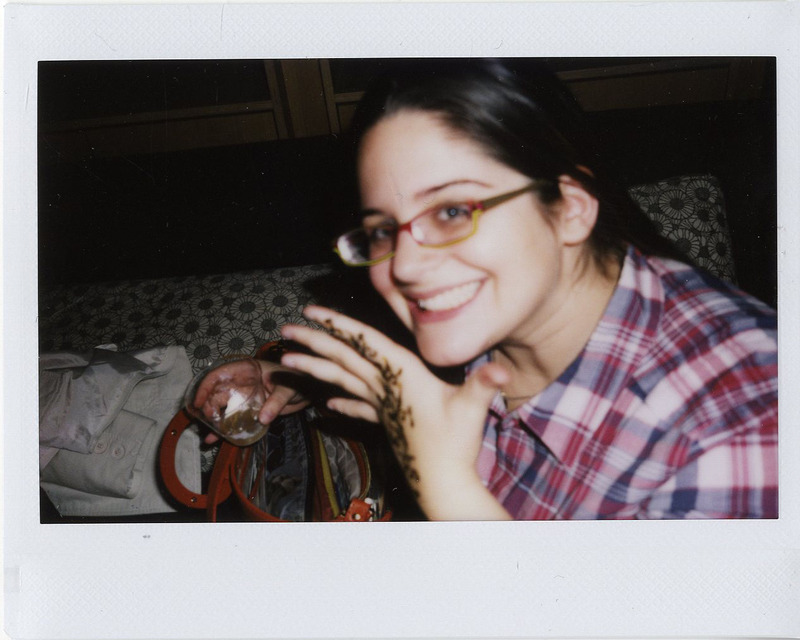 I love your writing and you have this amazing sense of humor when you tell about the people in you life (me included).